In 2003 the Midlands Meander Association Education Project was launched as the Social and Environmental Responsibility Programme of the Midlands Meander Association. Our aim is to increase awareness of the importance of caring for the natural environment among all sectors of the community in the Midlands Meander area. Focusing primarily on local schools, teachers are assisted to integrate environmental education into the teaching curriculum, with emphasis on wise resource use, creativity, sustainable living and community building. Each of the schools on the programme is registered as a WESSA Eco-School and presents a portfolio of work at the end of each year receiving recognition for meaningful whole school development. 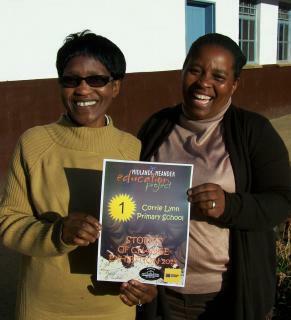 Since 2003 over 20 schools have been registered with the MMAEP programme. There are approximately 4000 learners attending schools currently involved in the programme. Our main focus is on educator support through co-teaching in a wide range of areas with a special focus on environmental education. All our lessons are requested and fit with the CAPS curriculum and school schedules. The programme has been strongly supported since its inception by N3TC. Recent Lottery Funding has enabled the MMAEP to host community workshops, run competitions and expand the organisations' expertise into the wider community. At schools the MMAEP fieldworkers have a series of set dates to co-teach creative, interactive lessons. Often outdoors, using unusual and creative resources the MMAEP fieldworkers add an exhilarating new dimension to learning. The MMAEP believes that continual support from an enthusiastic fieldworker and the dynamic relationship that this creates is more effective than merely providing educational materials which may or may not be used. To introduce more Midlands Magic to the programme, MMAEP field-workers have metamorphosed into colourful “Bug” mascots – Sizakele the Spider, Gogo Gogo, Masechaba the May-Fly, Tutu the Busy Bee, Penz the Stonefly, Palesa and Bonni the Bookworms, Cebo the Cricket, Michael the Mantid and Icimbi the Caterpillar. In an effort to reduce their carbon footprint the Bugs also try to travel in ‘lighter’ ways to the school, lift sharing, cycling, motorbike and taxi. In this way they ‘walk their talk’ and inspire discussions and ideas on current environmental topics. MMAEP fieldworkers bring enthusiasm and a creative dimension to teaching and learning which has a positive impact on the development of both teachers and learners at schools which participate in the programme. Our programme is dependent on the on-going support of our sponsors and we welcome new partners who wish to make a contribution to education in the Midlands.